A city landscape background. 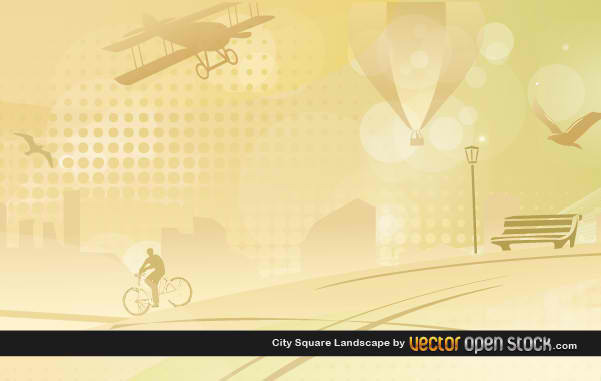 Man riding a bike, square seat, aerostatic globe, streetlight, street lamp and city landscape. Under creative commons attribution 3.0. Enjoy!